Craft Crush #8 is…. Tilly Walnes! What do you do? 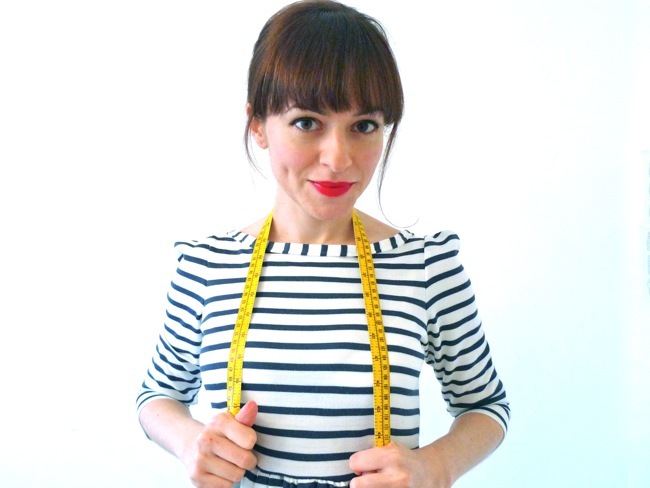 I’m a blogger, demystifying DIY dressmaking for the fast fashion generation. My aim is to encourage more people to start sewing their own clothing. 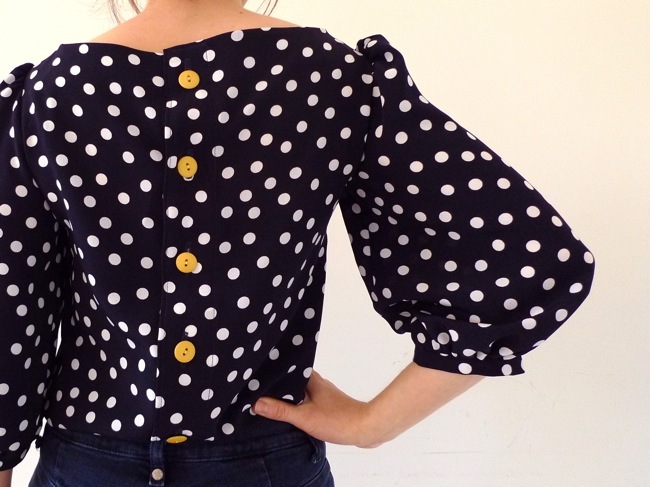 I currently do this by providing free online sewing tutorials that translate the jargon, are supported by step-by-step photos for visual learners, and are written in an encouraging tone. I also design user-friendly sewing patterns and teach IRL workshops for beginners at various sewing schools. What are your first memories of crafting? As a child, I constantly seemed to have paint on my hands, glue in my hair, glitter on my clothes… As a teenager I was directed away from artistic pursuits and towards more academic subjects. But after a few years working in an office, I felt frustrated sitting at a computer all day so learnt to sew as a way to put my hands to a more creative use… and I haven’t looked back since! What inspires you? People who come up with awesome ideas for making the world that little bit nicer and more interesting. Such as the Craftivist Collective! Who do you have a craft crush on? Can I have a craft crush on the internet? Seriously, I’m addicted to craft blogs and couldn’t just name one person. I’m constantly swooning over the creativity popping up in my blog reader. The back of one of Tilly’s crafted creations- so cute! What three things could you not live without? My sewing machine for making, my laptop for blogging, and my seam ripper – knowing I can correct the mistakes I make gives me the confidence to take risks in the first place. How has craft been a positive influence for you, your community or society at large? Before I became a DIY dressmaker, I was a bit of a shopaholic, constantly in pursuit of that perfect outfit but with a guilty conscience at the environmental and ethical implications of that addiction. As soon as I learnt to use a sewing machine, that compulsion magically vanished – I no longer felt reliant on the fashion industry since I now had the power to make things exactly as I wanted them. I treasure my handmade clothing so much more than shop-bought clothes, and rarely buy anything anymore. The fact that I can make things with my own hands also feels deeply empowering. I strongly believe that craft enhances individual well-being, and allows makers to feel more connected to the world as active producers as opposed to simply passive consumers. This has all kinds of implications for our interaction with the world, including being inspired to adopt a more mindful approach to consumption. If you could change one thing about the world, what would it be? Just one? Oh the pressure! Well, I guess if we all had more empathy for each other it could stop a lot of the silliness that goes on in the world. Have you got any words of encouragement for our readers about the power of crafts? See two questions up! Do you have anything else you really want to share? Thank you so much for featuring me as your craft crush (*blushes*). The feeling is mutual!